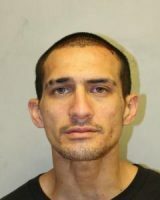 Hawaiʻi Island police have charged a Pāhoa man and a Volcano woman in connection with a residential burglary in Puna that left two officers injured. At 3:35 p.m., Friday, (December 15), police were called regarding a report of an active burglary of a home on North Puni Mauka Loop in Puna. When officers arrived, the suspects were seen exiting the residence and getting into a silver-colored Toyota sedan. As the officers were speaking with the male driver, the man reversed the car and dragged the officers a short distance, before the vehicle became lodged on an embankment on the property. Both suspects then fled the area on foot but were captured. The two officers were treated at the scene for non-life-threatening injuries. Investigators later determined that the sedan was stolen in October from Banyan Drive in Hilo. Police arrested the driver, 32-year-old Jesse Campbell and his 22-year-old passenger, Destiny Kaleiwahea following a brief foot chase. They were taken to the Hilo cellblock while detectives with the Criminal Investigation Section continued the investigation. A search warrant was later served on the sedan and several items taken from within the residence were recovered. At 12:35 p.m., Saturday, (December 16), police charged Campbell with two counts of first-degree assault of a police officer and one count each of first-degree burglary and unauthorized control of a propelled vehicle. His bail was set at $55,000. 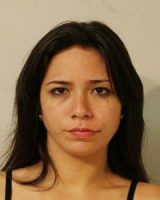 Kaleiwahea was charged with one count of first-degree burglary and for her outstanding warrants. Her total bail was set at $5,450. Both suspects remain in the Hilo cellblock pending their initial appearance scheduled for this afternoon, (December 18), in South Hilo District Court. Anyone who may have information about these incidents is asked to call the Police Department’s non-emergency line at (808) 935-3311 or Detective Dean Uyetake of the Area I Criminal Investigation Section at (808) 961-2379 or Dean.Uyetake@hawaiicounty.gov.